Minako Takahashi is a visual and mixed media artist. She was born in Tokyo and moved to Takefu, Fukui-ken at the age of two. While a student at Takefu high school, her art work was chosen for inclusion in such exhibitions as the Mainichi Shimbun newspaper national student art exhibition and the modern art exhibition at Tokyo Ueno Art Museum. After graduating, Takahashi studied design at the Bunka Institute for Fashion Design in Tokyo. 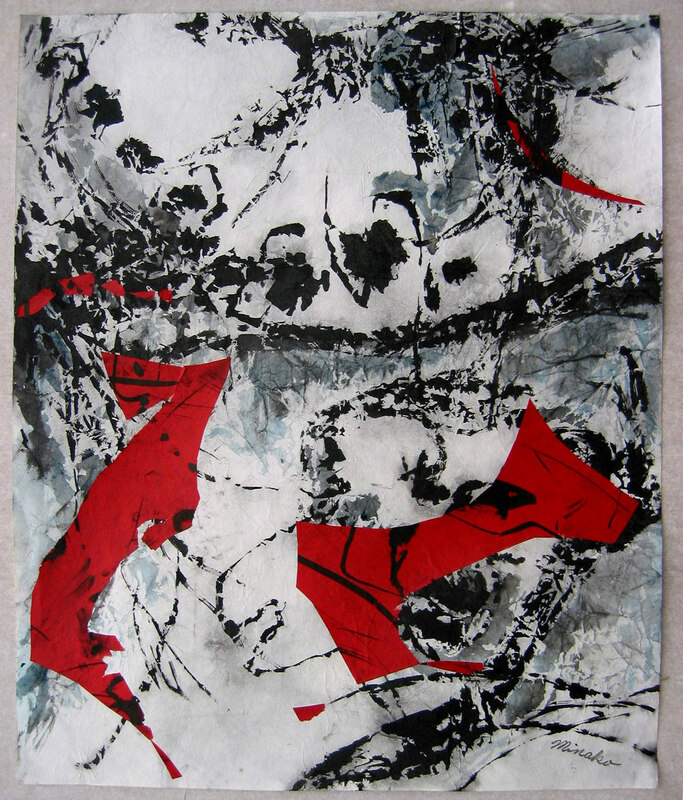 While learning traditional Japanese sumi-e techniques, she also immersed herself in the production of abstract oil paintings. In Japan, Takahashi has exhibited and won prizes in many public exhibitions, including a solo show at the Fukui Prefectural Art Museum. Since 2014, she has been affiliated with the Japanese artists’ group ‘ART MIRAI’ (The Future of Art), and exhibits every year in their group exhibition at the Tokyo National New Art Museum as an invited creator.